As we all know skin is the largest organ of the human body and depicts our appearance as well as our personality. Nowadays, where everyone wants to look good, the demand for having a good skin specialist eventually grows especially when you are a resident of a city like Mumbai where the climate is so humid and the rising pollution which automatically affects your skin. Thus, the demand for the best skin specialist in Mumbai is on a peak. Acne is the most common skin disease that people get affected with. Acne is also referred to as acne vulgaris. It is a long-term skin disease which arises when the hair follicles get blocked or obstructed with the dead skin cells and the oil on the skin. 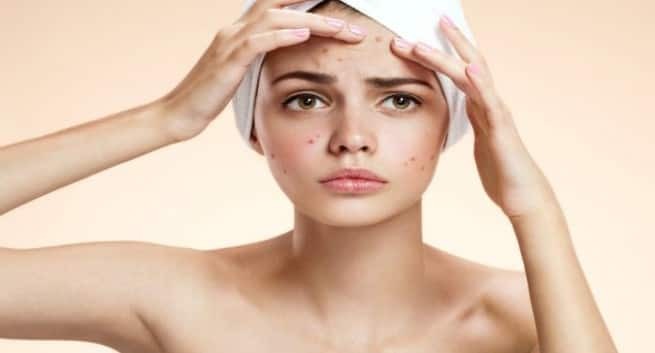 Acne is just a formation of small bumps also black termed as white bumps(whiteheads), blackheads, red coloured, filled with pus, huge firm nodules. Once the acne gets cured, it may leave some scars on the affected place and which is known as acne scars. Also, it may lead to deformation of the skin of the affected person. Not only this, it is most common among teenagers due to hormonal changes, and among women who are pregnant and going through menopause. If you are suffering from mild acne it can easily get cured with the help of topical medicated products as well as certain cosmetic products. It is important to note that you shouldn’t use any cosmetic product that the companies advertise without consulting a dermatologist. As in the case of severe acne, it may lead to worsening of the situation even more. Hence, it is advised to consult a dermatologist to be on a safer side. Mostly, acne occurs on those areas of the skin where the numbers of oil glands is high, like – face, chest, back, etc. Primarily, 80% of the cases are due to genetical reasons. Mainly during teenage, due to hormonal changes. Excessive growth of Propionibacterium acne on the skin. Stress can worsen the acne. Also, there are certain environmental factors which may cause and worsen acne. In this, you may witness presence of blocked hair follicles on the face only. In case of moderate acne, one may witness bigger papules on the face as compared to mild acne and, also on few body parts. It occurs on the face and body parts like upper back, chest, etc. The size of nodules is very big and painful too. Less intake of simple carbohydrates. Azelaic acid, benzoyl peroxide, salicylic acid, etc. to be applied directly on the skin. Antibiotics as well as retinoids are also available. In case of severe acne, isotretinoin pills are referred. Alternatively, tea tree oil can also be used as a treatment for acne as it leads to reduction in the number of acne on the face. In 2015, 663 million people globally were affected with acne. Since then it is known as the 8th most common disease people are affected with globally. By the way, in the western world acne affects 80-90% of teenagers. Dermatologists generally prefer early treatment of acne to avoid any kind of long-term impact. There is nothing to worry about! To get the most effective acne treatment consult the best dermatologist in Mumbai. Acne laser treatment has now emerged as one of the best, safe, favoured and speedy treatments for acne which gives the desired results. Since it causes minimum scarring most people consider laser treatment as the best treatment for acne removal. Dermatologists use Intense Pulsed Light(IPL) process for laser treatment. This treatment not only helps in removing existing acne but also reduces the chances of any future acne breakout. The IPL treatment requires a total of eight sessions which are divided into a period of four weeks. It is considered the best because it is effective and gives much better results than antibiotics and other treatments. Sadly, people with darker skin tone may or may not get the desired result with other laser treatments, IPL also does not work effectively on darker skin. Also, the scars may not get removed completely. Generally, acne occurs during the age of twenties and thirties, in rare cases it continues till forties also. It is mostly observed in females. The cost for acne treatment is substantial. Also, acne may lead to permanent mark or scar on the body, skin pigmentation, etc. The diet that you opt for should be healthy. Avoid products which are oil based. Wash your make up before going to sleep. It is suggested do not touch, pick or squeeze your acne.